SKU: KIT-FT44BU. Category: Kino Flo. Kino Flo Lighting Systems’ True Match FreeStyle LED tubes are specially designed for operation in FreeStyle T44 fixtures for film production or stage design lighting. The FreeStyle LED tubes display Kino Flo’s True Match white light and RGBWW colour management system found in Kino Flo’s LED lighting fixtures. The tubes are 4ft (1.2m). On camera, FreeStyle LED tubes photograph with the same softness, the same subtle colour reproduction as Kino Flo’s award-winning T12 high-output lamps. 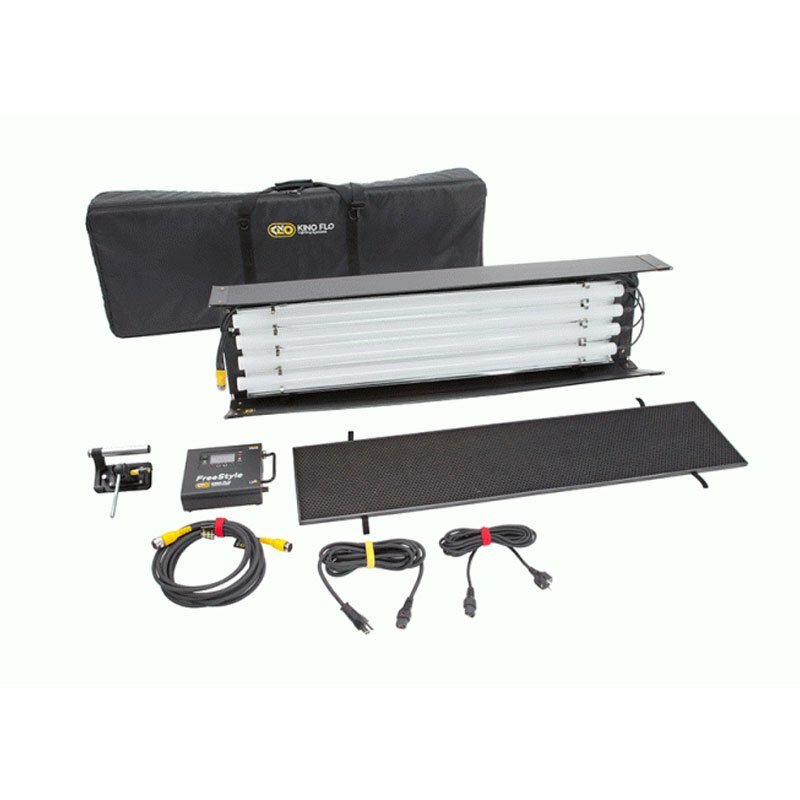 In addition to the >95 photo rendering index, cinematographers will see the difference the 310° LED tube makes when operated in a fixture or out of the fixture as a remote “sabre” of light. Paired with the FreeStyle T44 fixture’s light intensifying reflector, the tube projects soft light forward at a 100° beam angle at about the same light levels you’d get from a 1000W tungsten soft-light. The firmware listed above is loaded onto the FreeStyle LED controller and can operate the Freestyle T44 fixture remotely with a 25ft extension cable or can drive the panel directly when mounted to the back of the fixture. The Freestyle controller (LED-140X), includes standard DMX in/out ports for cable as well as wireless DMX connectivity (Lumen Radio). The controller features universal AC voltage input 100-240vac (1.25 Amps at 120vac) as well as a 3-Pin XLR for 24vdc operation (6.25A).